The EB-5 Immigrant Investment Visa program offers an alternative means of raising capital for hotel development projects in the U.S., and the lawyers in JMBM’s Global Hospitality Group® and Chinese Investment Group™ have worked on more than sixty EB-5 projects all over the United States. Over just the past 3 years, the EB-5 program has quickly gained the support of some of the largest, institutional-quality developers as well as major hotel brands. Perhaps a bit late, many developers have recently noticed the significant capital being raised through EB-5 and they are scrambling to catch up with those already far down the track. Fortunately, EB-5 capital remains abundantly available. But unfortunately, there is limited bandwidth to tap into it. As a result, the competition of developers for access has become quite intense as they seek to gain the attention of the small number of players with the track record of success to complete their capital raise, and the increasingly discerning EB-5 investors who are much more careful today on who they trust with their immigration visa investment. Not surprisingly, the hotel developers who will win this race to receive EB-5 funding for their projects will be “preferred” hotel developers in every sense – preferred as to the excellence of the track record and experience of the developer, the quality of the project, the structure of the deal to satisfy EB-5 investor requirements and protect the developer, the experience and relationships with Regional Centers and sales teams, and experienced Counselors to advise on every aspect of the project. The JMBM Global Hospitality Group® helps high quality developers with great projects achieve this “preferred” status and win the race for EB-5 capital. Some background on which developers and deals will be successful in raising EB-5 capital may be helpful in order to understand the importance of planning, structuring and positioning necessary to obtain the best result. What does it mean to establish “preferred” status? What does it take? The preferred status of a developer and project with respect to EB-5 financing has certain elements are more or less inherent in the project and developer, and other elements relate to structure and positioning to satisfy the needs of various participants in the EB-5 capital chain. An outstanding developer and project might fail to qualify as “preferred” without the proper Counseling, advice and structure, while a good developer might make the cut. On the other hand, an inexperienced developer with a marginal project will never become preferred, even with the greatest coaching. What are the benefits of being “preferred”? You win the race for EB-5 capital. Your deal qualifies for and receives EB-5 funding — in the maximum amount, at the lowest cost, in the shortest time, and with the greatest degree of certainty. Who wins the race for EB-5 capital? Who wins the race for EB-5 capital? The standard bell curve shown in the first graphic below helps answer this question. 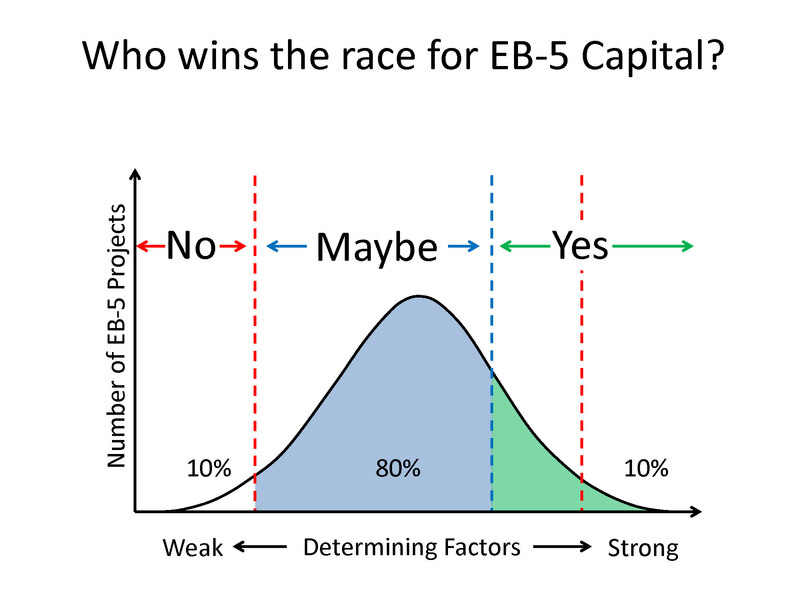 The Y-axis in the graphic below represents the total number of projects seeking EB-5 financing, and the X-axis represents the relative strength or weakness of certain “Determining Factors” discussed in in the next section. This graphic is intended to indicate that a small percentage of projects (shown here as 10%) are in the “Yes Zone” and would almost certainly qualify for preferred status. Another small percentage of projects (again shown here as 10%) are in the “No Zone” and would almost certainly fail to obtain preferred status. 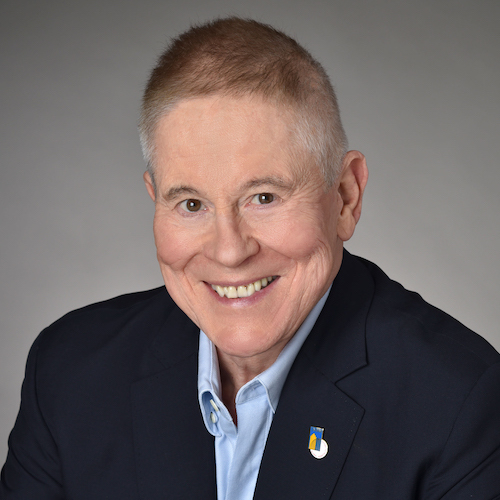 The vast majority of projects, however, are in the “Maybe Zone” and many are capable of being moved into the “Yes Zone” with proper counseling, structuring, and positioning. We assist our hotel developer clients to move into the preferred “Yes Zone” by aggressively working with the relevant Determining Factors indicated on the X axis in the first graphic above and as listed in the table below. 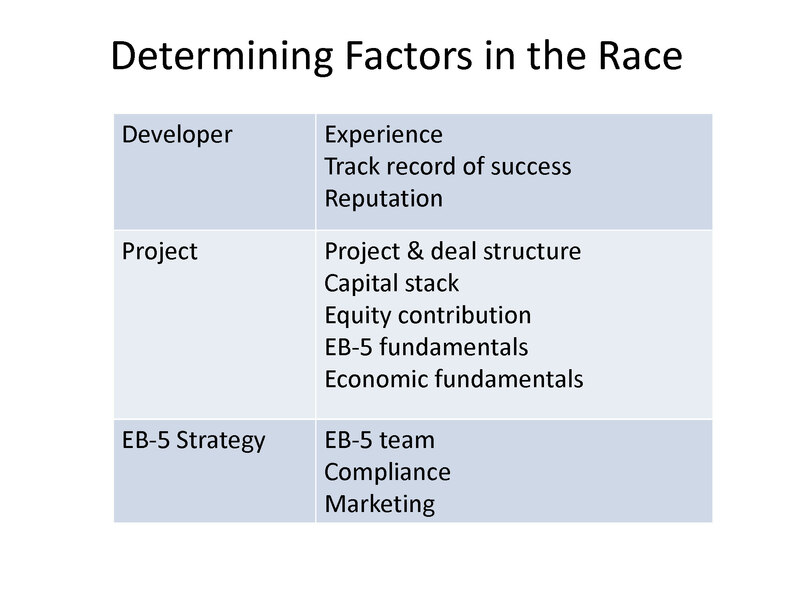 To win the EB-5 race, a developer wants all of the Determining Factors moved as far to the right as possible in the first bell curve chart above. Some of the factors are pretty well set at a given point in time, such as the developer’s experience, track record, and reputation as well as the project’s economic fundamentals. However, even these factors can be presented in a profile that is specifically responsive to the needs of the EB-5 capital raising chain. And other Determining Factors can be substantially created, shaped and substantially enhanced to obtain the best result. That is what good Counselors do for a project. 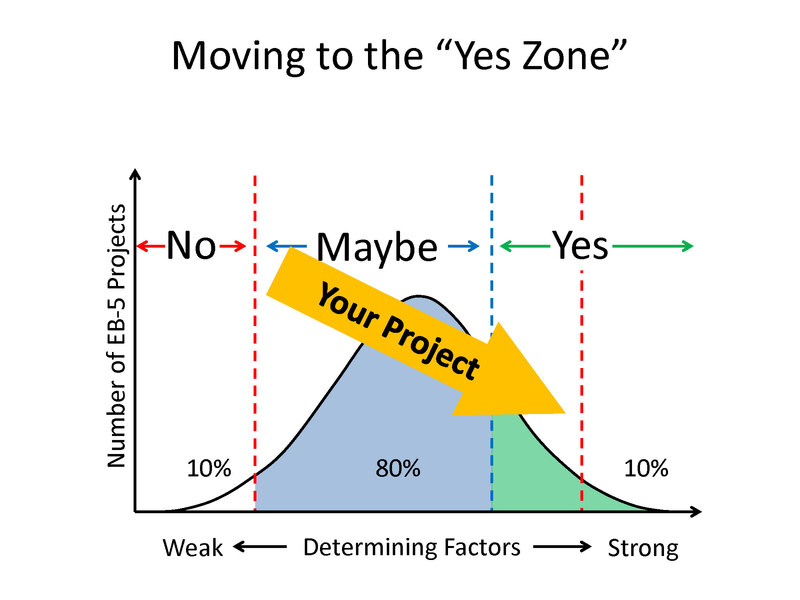 In essence, with the right guidance, structuring, and team, projects in the “Maybe Zone” can be moved into the “Yes Zone” as represented by the yellow arrow in the graphic below.